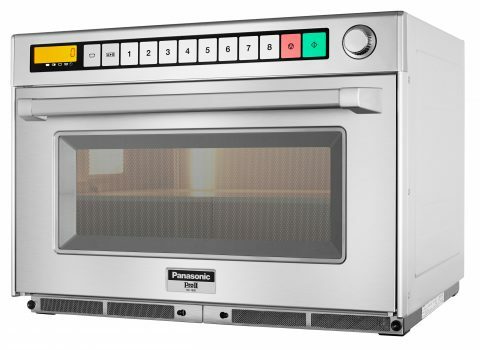 The Panasonic NE-3280 Super Heavy Duty 3200w Gastronorm Commercial Microwave Oven is up for any task that commercial catering throws at it, with a titanic 44 litre oven capacity, and 4 powerful Magnetrons; to ensure a fast cook, with fantastic coverage. Combined, this means that this catering microwave can cook many orders at once, quickly, and effectively. Further adding to the peace of mind provided by this product is its stainless steel interior, and removable ceramic shelf; making it both hard-wearing, and very easy to clean. This Panasonic commercial microwave oven also features 4 power levels and 16 programs, providing a broad range of functionality.